Digital UltraViolet and Digital Copy will makes it possible for you to stream the movie Adrift HD UV or iTunes Code instantly to your computer and compatible Smartphones, Andriod, iphone, iPod Touch, iPad and tablets devices anytime, anywhere. 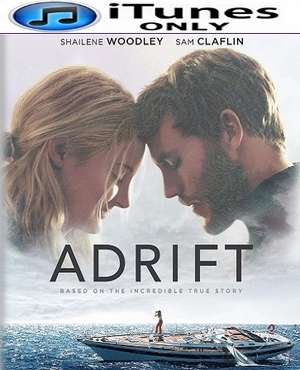 You can also download a Digital UltraViolet Copy or a Digital Copy of the movie Adrift HD UV or iTunes Code to your computer and compatible devices. As the two sailors set out on a journey across the ocean, Tami Oldham (Woodley) and Richard Sharp (Claflin) couldn't anticipate they would be sailing directly into one of the most catastrophic hurricanes in recorded history.